I was sceptical about playing Metrico at first, I mean, a game where you mess with bar charts and pie charts? BORING. But after reading Eurogamers review of the game many months ago, I decided maybe it was worth actually looking past the boring exterior and seeing if Metrico was worth it’s time. Well first off, I have to advise to seriously ignore the setting and the premise of Metrico, as it sounds boring on paper but makes for some excellent and amazing puzzles to overcome. The premise is simple: certain bars or platforms in the world will move or resize depending on how you move your player or interact with the environment. One of the most basic forms of puzzles in the game revolves around your players movement across a surface: move right whilst touching the floor and one bar may increase in size, whilst moving left will decrease it. It’s through these simple interactions with the environment that complexity starts to form, with bars or platforms interlinked, meaning your actions for one to progress may hinder another, causing yourself to be stuck until the solution is found. It’s through this simplicity of interacting with the environment that you’ll find some of the hardest challenges I’ve come across in a game to date. Whilst the environment starts off related to your movement, it soon starts becoming more complicated, with a shooting mechanic soon entering the fray, along with the gyro-sensor of the Vita, and finally, the light around you and colours surrounding you in the real world using your Vita’s camera. They’re all novel ways of using every feature of the Vita, but they all really add to the complications of puzzles that may arise, with latter levels requiring you to both hold the Vita at a certain angle whilst also moving your player and firing at the same time. Digital Dreams really deserve to be applauded for the great work they’ve done in accommodating each feature of the Vita, a task I didn’t think possible. Through all the different methods of controlling the world, it’s a good thing Metrico has precise platforming down to a T, with each jump and twist of the Vita being as precise as it needs to be, ensuring you don’t blame the game rather than your own skills. 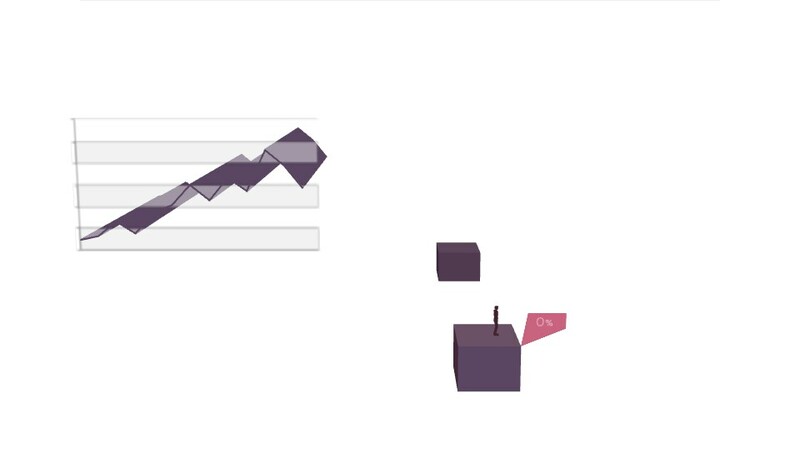 Metrico takes its infographic art style and runs with it, with pie charts and line charts appearing everywhere they possible can. Each is intrinsically linked to the actions you’re performing as the player, ensuring you have some control of what is being seen. The graphics aren’t much to look at due to it’s simplicity, but perfectly suite the environment of infographics Digital Dreams chose to portray. Pie charts appear in nice 3D, but as I said at the start, that’s all boring without context, so it’s a shame Metrico doesn’t really have a story. You walk endlessly throughout a forever changing world, with a choice given to you upon clearing one of it’s 5 worlds. These choices are between two doors, with each one having percentage of how many players have walked through it. There seemed to be no intrinsic value as to which one you selected, so for the most part, I just went for the door which had the least amount of players walk through it. Whilst there wasn’t much in the sense of music (I genuinely don’t remember the music at all, a bad sign when it comes to music that entices me to explore and adventure on), the entire atmosphere of Metrico was still fascinating to explore, with each puzzle enticing me on to the next one with no hesitation. 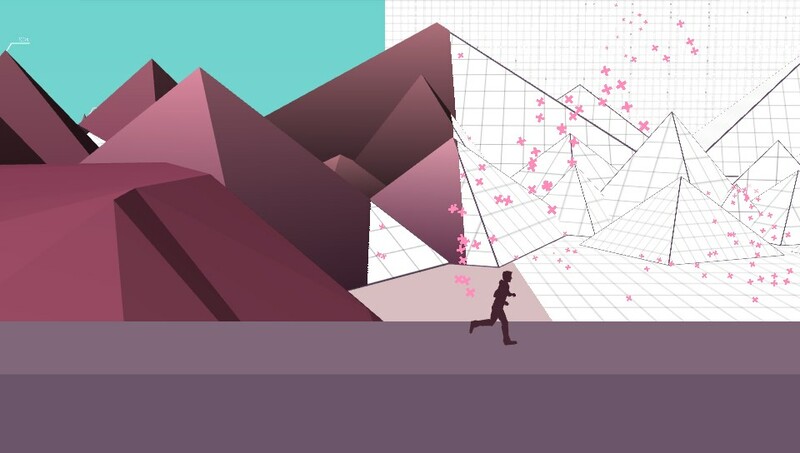 There isn’t really a story throughout Metrico, merely a thought: your actions have instant feedback in the world your avatar inhabits. I think the thing that stands out so much about Metrico for me is the way that it brings to the forefront the code that’s happening in the background to players. Everything happening on screen in a game is usually linked to numbers in the background; from health bars slowly diminishing to the timing of an enemies movement, it’s all maths, it’s merely hidden from view. 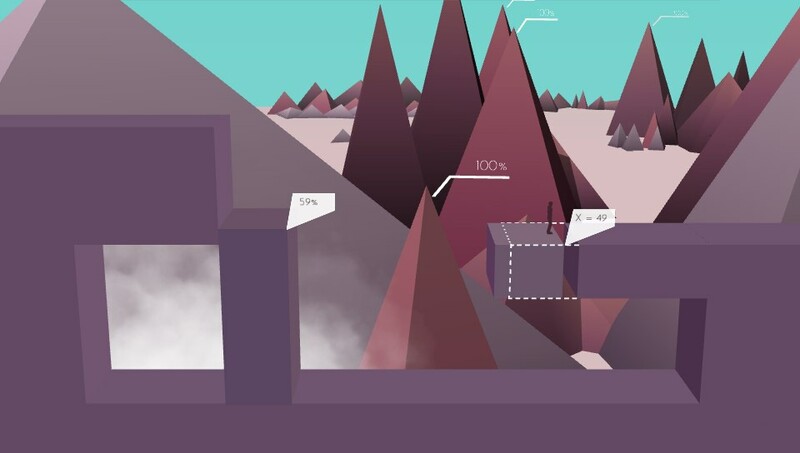 Metrico does a fantastic job of showing all these numbers to the player, and even helps in making players think more logically in how they approach problem solving. There are many times you’ll need to approach a puzzle from a different angle after you accidentally press a button too many times, pushing you on to find the correct solution as fast as possible. Whilst most of the puzzles allow you to carry on with the progression of the game, there are a few that allow you to pick up items should you get all objects on the screen in the correct place. These “collectibles” are purely for the challenge for the most part, with no story or extras being unlocked for gaining them (apart from trophies). Whilst I missed a couple, I enjoyed these extra challenges, as you’d have to look at the same puzzle in a different way, ensuring nothing went over it’s mark and all objects were in the correct place. 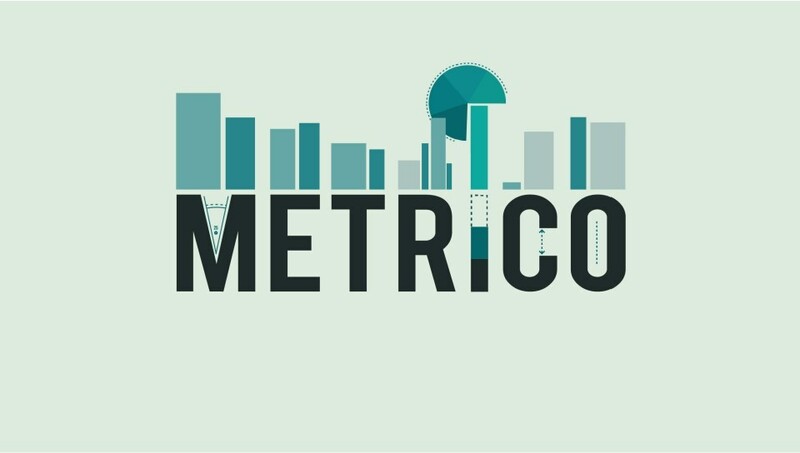 As I said at the start of this article, ignore any and all preconceptions you have about Metrico and it’s style, and give it a go. I for one am ashamed at my preconceived notion that it would be boring, and feel that it doesn’t deserve that at all. Metrico is easily one of my favourite Vita games so far, which, for a console that’s been out for 4 years, is a damn great achievement.